Even though returning customers comprise only a small percentage of the total number of customers that your company serves, the reality is that these returning customers are actually responsible for bringing around 80% of your total profits. With this, it is deemed important to build a loyal audience for your company blog, in order to boost the loyalty of online audience and also enhance the overall brand loyalty. In this article we will discuss 8 simple tips on how to build a loyal audience for your blog so as to help you gain more returning customers. In order to build a lasting relationship with your target consumers, you need to have your own brand personality that will make you stand out from the rest. Furthermore, you should also put emphasis on the “human” side of your company to be able to connect with them on a much deeper level. Regardless of whether you are posting content for your company blog or for your company’s social media pages, you need to make sure that you keep all content unique and consistent with your brand personality and company’s values. One of the simplest ways to give your target audience a reason to be loyal to your blog is by creating a clear and consistent brand message. Make sure that your message will set your business apart from other companies in the industry. When defining a message, you should clarify what your brand upholds, why this matters, as well as how you can provide excellent value to your customers. When you have already established your own brand message, make sure that you will remain consistent with it every time you interact with your target consumers and launch a new marketing campaign or products. Each company has its own target audience, which can eventually be the loyal and returning customers. 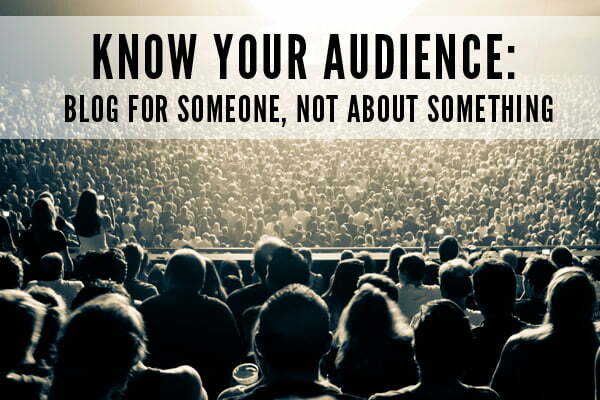 In order for you to establish a loyal audience, you need to know more about them and create various types of content (text, video, images) that will enable you to connect with them more effectively. In order for your audience to remain loyal, make sure that you clarify issues and address their concerns that they express through your blogs or social media pages. Always be friendly and polite with your interactions with them, regardless of their attitude towards your company. In general, consumers prefer to connect with companies or brands in their own way. Knowing this, you should make sure that you are offering numerous opportunities for interaction. Some of the ways to stimulate interaction include social media fan pages, newsletters (email marketing), as well as loyalty programs. However, you also need to keep in mind that you should provide them with an option to unsubscribe and never make your target audience feel like they’re trapped. A good way to reinforce the loyalty of your audience is by giving them incentives or special rewards for patronizing your products. One common strategy to do this is by offering coupons for special offers and free gifts exclusively to the loyal subscribers of your company’s social media page, blog, or newsletter. Additionally, you can also increase your customers’ loyalty by giving incentives to those who share your social media fan page or company blog with their family and friends. Make your customers feel that you value their time by responding promptly to their messages. Although it is important to interact with them regularly, you should never bombard them with spam posts or emails because it can really be annoying. Remember that the moment you start to come out spammy and bothersome, they will not think twice about unsubscribing. Instead of just flooding your blog subscribers with promotional advertisements on a regular basis, you should provide them meaningful content. It is all up to you if you want to be entertaining, informative, or even both. Also, instead of just posting plain text, try to incorporate other types of media such as related images and videos. It is fairly easy to notice generic messages, which do not appeal to your audience. If you want to build deeper connections with people, you should make the effort to personalize and customize your interactions with them. Make sure that your content and messages are geared towards your target audience’s preferences and interests. For instance, instead of just conveying exactly the same messages to all of your blog subscribers, produce different versions of the same message that are targeted to different types or groups of audience. Take the initiative to ask for feedback from your audience. Listen carefully to constructive criticisms, and make sure that you address all issues that they may have regarding your blog content for instance. Always keep in mind that maintaining a blog requires constant improvements on the part of the blog owner. By doing the mentioned steps, you will surely be able to establish a loyal audience for your company blog, interact with your target consumers much better, build lasting relationships with your loyal audience, and eventually help you increase the number of your returning customers that bring in revenue. KnownHost’s KVM Cloud Servers have been designed with the customer in mind.